The Ball State University Women’s Studies Program Records collection provides online access to the historical records of the program dating from 1971 to 2009. The collection includes ephemera, brochures, meeting minutes, and newsletters regarding Women’s Week events, lectures, and Women’s Studies Program classes. Maps Fictional and Actual: Mapping Projects from Drawing 1 was added to the Digital Media Repository in January of 2018. 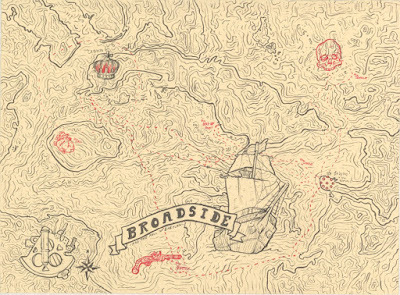 Heidi Jensen, Associate Professor in the Ball State University School of Art, created the following project for students in her drawing class in the fall of 2017: After visiting the GIS Research and Map Collection in Bracken Library and reviewing hundreds of maps, create an artistic map of a real or fictional place. The maps were featured in the Muncie Downtown Development First Thursday art exhibit in November 2017.